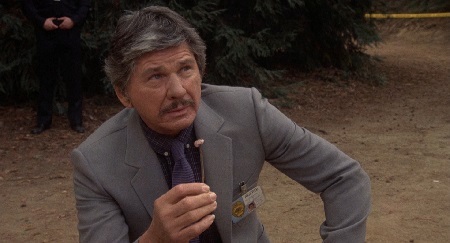 Detective Leo Kessler (Charles Bronson) is hunting a serial killer who disembowels their female victims without leaving a single solitary bit of physical evidence whatsoever. After his nursing student daughter Laurie’s (Lisa Eilbacher) best friend becomes this madman’s latest victim, the veteran cop becomes convinced that angry, disaffected office drone Warren Stacy (Gene Davis) is the perpetrator. 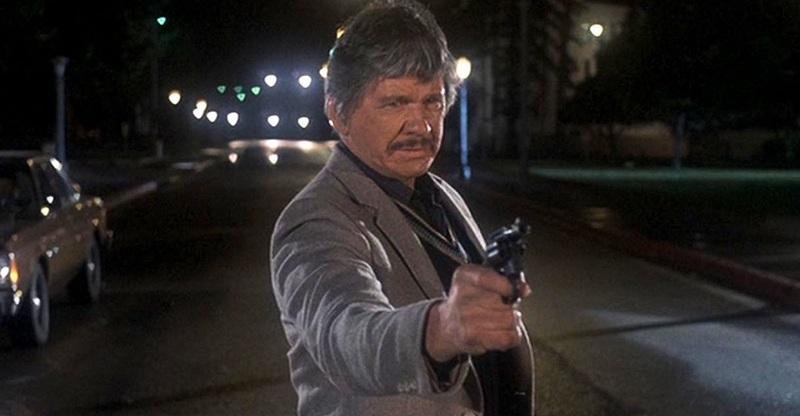 But he’s got an airtight alibi for the last two killings that neither Leo or his new partner Paul McAnn (Andrew Stevens) can poke holes in, their by-the-book commanding officer Captain Malone (Wilford Brimley) unwilling to allow them to bend any departmental rules as they keep attempting to put the pieces of this murderous puzzle together. 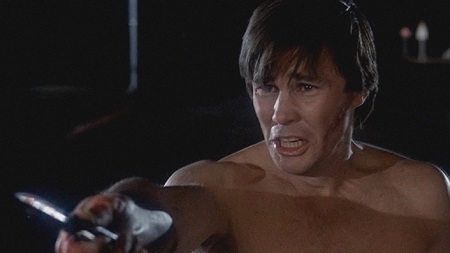 What initially sounds like your typical low budget crime-thriller typical of the 1980s, ultimately director J. Lee Thompson’s (The Guns of Navarone) and screenwriter William Roberts’ (The Devil’s Brigade) deranged, repugnantly exploitive 10 to Midnight ends up being so much more than that. The film that more or less proved to Cannon Films that an aging Charles Bronson could still be an above-the-title star, this nasty bit of hokum a strange combination of serial killer horror meshed with an ultra-fetishistic, borderline fascist law enforcement shoot-‘em-up that’s come remarkably close to being disgusting in all elements of the finished product. But that’s also the thing that makes it so incredibly fascinating and close to impossible to take one’s eyes off. This is a movie where the killer strips himself naked save a pair of medical gloves in order not to risk getting blood on any of his belongings and also because it’s his way to exercise total control and power over his intended victims. It’s a story where gender roles are enforced to such an extent that any woman showcasing a modicum of sexual control over her life is literally gutted, and whether this was intentional or not this kind of makes Roberts’ story oddly ahead of its time. This thriller is like an ‘80s evisceration of toxic masculinity long before that term had even been coined. It’s like Thompson’s opus was made for the #MeToo generation even though the #MeToo generation hadn’t even been born when this motion picture was originally released. That’s hyperbole on my part, no question. But it just as clearly isn’t all that far from the truth. While a definite product of its time, and while also a thriller more than content to revel in degradation and sleaze seemingly because it can and for practically no other reason than that, there is an oddly prescient underlying intelligence to the narrative that’s oftentimes surprising. It’s like Roberts wanted to make a far more thought-provoking social commentary than Thompson, Bronson or producers Menahem Golan and Yoram Globus did, and as such many of his ideas couldn’t help but filter into the finished film whether the filmmakers intended them to or not. Granted, some of what Roberts is saying, especially as it pertains the criminal justice system and the handcuffs put on law enforcement is fairly revolting, even when looked through a historical lens. If that is intentional or not I can’t say I have the faintest idea. What I can say is that Leo Kessler’s thoughts on the law, lawyers and the rights of the accused make Harry Callahan’s look positively benign and liberal in comparison. Yet that might be the point. The film’s major plot twist puts Leo’s views on the law under an electron microscope, the choices he ends up making potentially doing more harm than good at the end of the day. But it also leads to the loving father and determined detective to become judge, jury and maybe even executioner all in one, Kessler making a climactic decision that will force his own partner to question whether or not this man he respects and in some ways wants to emulate might belong behind bars alongside the killers and thugs he’s made a career of bringing to justice. Don’t get me wrong. I’m reading way too much into 10 to Midnight than was likely ever originally intended. But it’s difficult not look at this film and not see all of this and more, all of these various elements helping make this thriller oddly timeless in ways it arguably never should have been. While hardly Bronson or Thompson’s finest hours as actor or director, there is a determined gravitas to this effort that is undeniably compelling, and as grotesquely nasty as all of this can’t help prove to be watching it is a rather unforgettably surreal experience that’s close to magnificent. 10 to Midnight is presented on a 50GB Blu-ray MPEG-4 AVC Video with a 1.85:1 1080p transfer. Featuring a “new 4K scan of the original camera negative,” this presentation of the film is a noticeable improvement over the 2015 limited edition Twilight Time release. 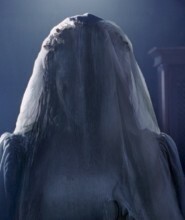 It’s doubtful 10 to Midnight looked this incredible back during its actual theatrical release. This Blu-ray features an English DTS-HD Master Audio 2.0 soundtrack and includes optional English subtitles. This is an impressive collection of extras, the interview with Stevens and the commentary track with historian Talbot the definite standouts. Fans of the film will certainly find lots to get excited about here. 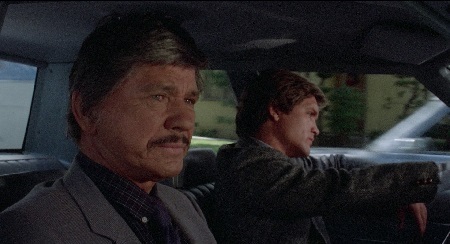 Ugly and uncomfortable, 10 to Midnight is certainly one of the seedier and more abhorrent exploitation thrillers star Charles Bronson made during the twilight of his career for Cannon Films. But it’s also one of his more fascinating efforts for the studio, its edgy, thought-provoking script a true descent into emotionally-deranged terror that packs far more of a viscerally upsetting punch than anticipated. Scream! Factory’s collector’s edition Blu-ray release is close to excellent, and if the retail price were to fall into the $20 range fans, even those who already own the out-of-print Twilight Time edition, should definitely consider adding the title to their home libraries.